Entrepreneurs’ Team of the Year finalists! 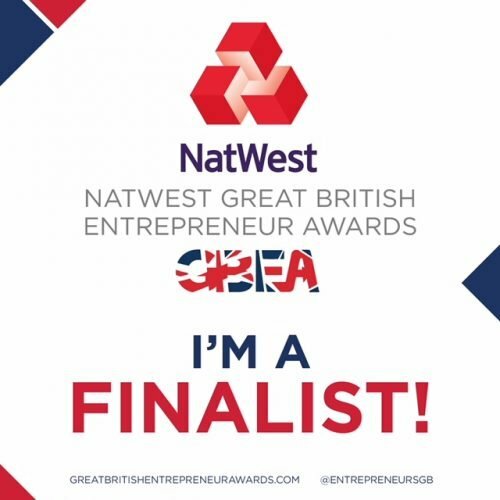 Following on from the recent success we have had with becoming finalists, yesterday it was announced that we have reached the finals of the NatWest Great British Entrepreneur Awards for Team of the Year – and we are over the moon! We have such an eclectic SLT, who all have completely different skills and attributes that they bring to the table – each one of them is vital to making the business a success and it’s humbling to know that their work is being recognised. After learning that it has been a ‘record-breaking year for the awards’, with the sheer number of entrees they have received, this has made us extremely proud to be finalists and shows that hard work pays off. We are looking forward to the awards night in November and wish everyone the best of luck!